What type of handmade product will provide the best profit? It's not always the craft that sells the most. 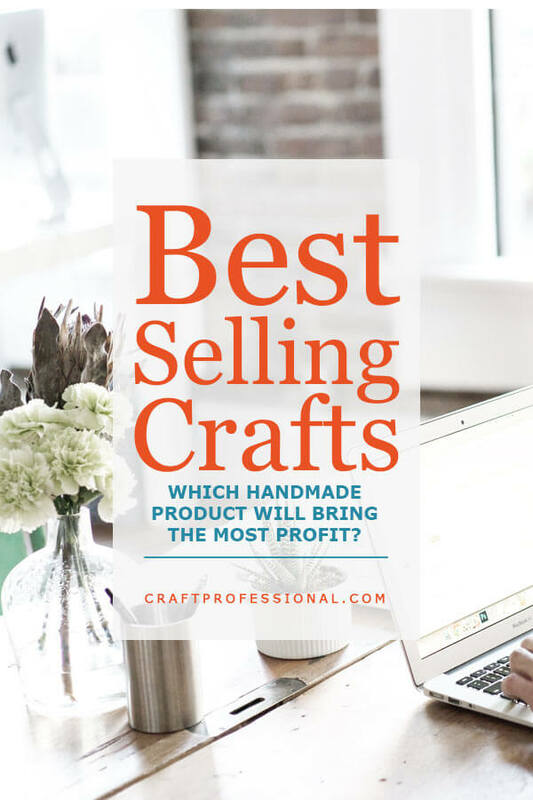 When you ask yourself, what are the best selling crafts, what you're really trying to determine is what type of product will be most profitable (i.e. make the most money) for your business. It's a subtle, but extremely important distinction. If you're going to look at craft income statistics, it's smart to look not only at gross sales (the total invoice value of sales before deducting any expenses), but also net income (your gross sales minus all business expenses). Gross sales represent the total dollar amount paid by customers for your product. If you sell earrings for $20 each, and you sold 15 pairs of earrings, your gross sales would be $300 ($20 times 15 pairs sold). Notice the expenses involved in making and selling your earrings hasn't been subtracted to arrive at your gross sales amount. Subtracting expenses gives you your net income. The gross sales amounts for different types of craft businesses will tell you which are the best selling crafts. The craft artists with the highest gross sales are the vendors who are selling the most in terms of dollars paid by customers. Gross sales tells you nothing about how much money ends up in your pocket at the end of the day once all of your expenses have been taken care of. And, ultimately, the amount of money in your pocket once all the bills are paid is the number you're probably most interested in. The net income figures will tell you who is actually bringing home the most money once they've covered all of their expenses. 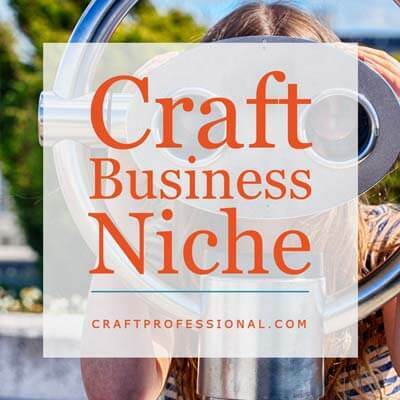 If you're looking for high profit crafts, you need to consider net income. The people with the highest gross sales and the highest net income are not necessarily the same people. 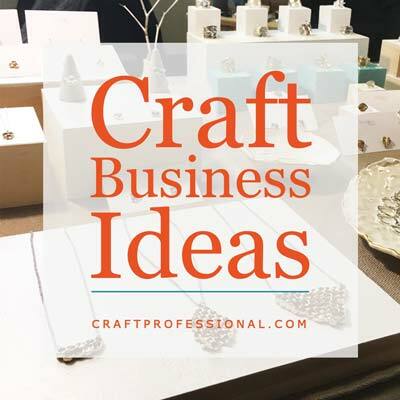 If you work with several different types of crafts and are trying to determine which are the best selling crafts and, therefore, the smartest medium to focus on for your business, consider this list from the CODA Survey. Please Note: The CODA Survey is dated, in fact, I can't even link to the original study because CODA doesn't exist as an organization anymore. Unfortunately, the craft industry is so rarely studied there isn't a lot of data out there, so the best we have is old information. If you're the kind of person who loves business data, you can find links to more craft industry data here. The craft industry has changed significantly since this study was published. It's not safe to assume people who work with glass still have the highest gross sales, and people who work with paper have the lowest gross sales. Instead, I'm using this survey as a jumping off point for examining profitability. 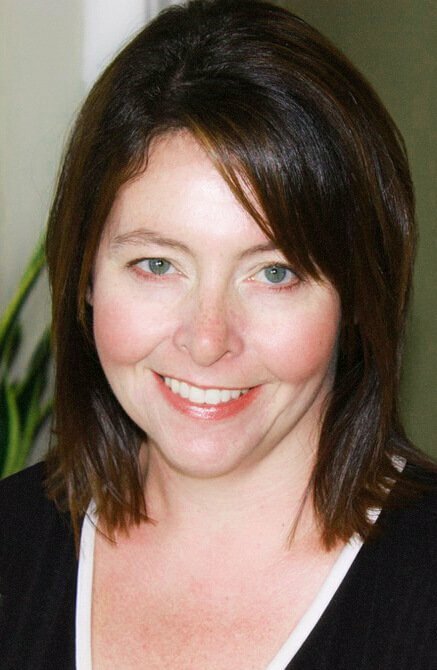 There are some key takeaways we can learn from this information that will help you develop a business based around a profitable product. Comparing the gross sales and net income figures is important because, not only do you want to sell your crafts, you want to sell them at a good profit that leaves money in your bank account. The gross sales will give you a good idea of what are the best selling crafts, but the net income completes the story, showing you which professional craft artists are taking home the most money at the end of the day. Let's look at a couple of examples to help deepen the understanding. Glass crafts are at the top of the gross income list; therefore, glass workers who participated in the survey had the highest gross sales of all craft workers. In other words, they had the most cash in their cash boxes at the end of a show. This information, however, does not tell the whole story. For the rest of the story, we need to look at the net income list. Glass crafts are also on the top of the net income list, meaning that glass crafters also took home the most income once they subtracted expenses, which is, ultimately what's most important in the determining profitability of your craft business. Comparing gross and net income gives you a clearer picture of profits than you would get simply by looking at the or gross income. We can see that, in this case, glass crafters' expenses were low enough to keep their net income high as well. Let's look at leather crafts next. Leather crafts appear toward the bottom (number 8) of the gross sales list, meaning that, according to this survey, leather workers made less in gross sales than many other crafters. They have less money in their cash boxes at the end of a day at a craft show compared with people who sell other types of crafts. However, we know that gross sales doesn't tell the whole story. When you look at the net income list, you'll see that leather crafts are number 4 in the top net income earners. That information tells you that although leather crafters may make less in total gross sales, they end up keeping more of that money after expenses when compared to many other types of crafters who may sell a lot more but have higher operating expenses. From this we can infer that leather crafters who participated in this survey had a higher profit margin built into their prices compared with people who sold other types of crafts. For our final example, we'll look at mixed media crafts, which appear at number 3 in gross sales, and number 9 in net income. This example is a bit tougher to imagine clearly because mixed media refers to any craft that uses two or more craft methods or materials. We could be talking about a wide range of products. The data shows that mixed media crafts would be considered a best selling craft because they are at number 3 in gross sales. However, they may not be the most profitable crafts because they are at number 9 in net income. The large difference in position shows that, in general, mixed media crafts have less profit built in. Although they sell well (according to this survey), mixed media artists don't end up with as much profit once expenses are paid when compared to other craft artists who have lower gross sales. Remember: We are looking at the results from this survey to pick out general concepts and to consider how to think about the important differences between "best selling" vs. "most profitable." Do not use this survey as the basis for a choice like deciding you'll be a glass blower because it's at the top of both lists. The data is not reliable enough to be the basis of that kind of decision. Although we're looking at older data, there's every reason to believe the following considerations hold true today. The highest earning crafts were not common crafts. Not everyone knows glassblowing or metalsmithing. They are skills that are not commonly held by the general public, so people don't look at these crafts and think, "I could do that myself." Potential customers value the skill involved in creating the craft, and if they want to own a particular item, they need to buy it, and pay a fair price for it. The top selling crafts have more barriers to entry than ones that are lower on the lists. Barriers to entry are factors that make it difficult for competitors to start a similar business. The best selling crafts require specialized equipment that most people don't have. Not many people have metalsmithing or glass blowing equipment sitting around their basement. These craft typically also require specialized training. I don't know about you, but I've seen glass blowers at work, and I'm definitely not going to just jump in and try my hand at working with molten hot glass without having some kind of professional training first. These are not crafts you pick up quickly and learn on your own in an afternoon at your kitchen table. That fact makes it harder for competition to enter the field and less likely for customers to think they could make an item themselves. While mixed media could mean any number of things, it implies that the craft artist is proficient working with at least two different types of craft media. This factor makes their crafts more unique and less easily copied by competitors or the general public. Would-be competitors (or those lovely customers who like to think they could make your product themselves) would have to learn to work in and obtain tools and equipment for two different craft media in order to create similar items. That makes it harder for people to jump in and copy the designs of mixed media artists. This need to master and maintain supplies and equipment for two or more crafts might also explain the lower reported net incomes for mixed media artists. The materials that are used in higher grossing crafts are generally considered more valuable. Paper is at or near bottom of both lists. The material is not valued in the same way as other materials. Although you may make some incredibly beautiful items that require a great deal of skill to create, if you work with raw materials that are not valued by the general public, you may struggle to sell your products profitably. 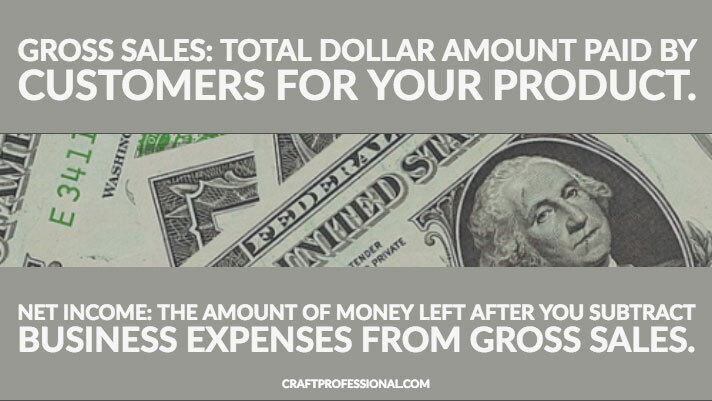 You can see from the chart that some crafts artists lose a lot when they subtract their costs from their gross sales, while others manage to keep a larger percentage of their sales income once expenses are subtracted. 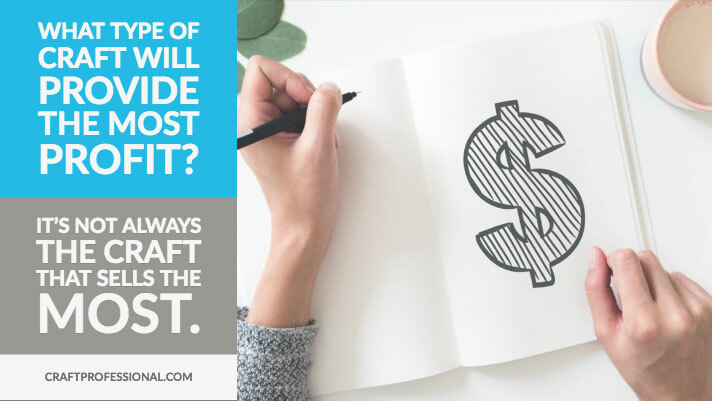 If you use a craft pricing formula to calculate your prices, you can quickly and easily see how profit is lost to your expenses. It can also give you some insights into inefficiencies in you business and things you can change to reduce expenses and improve profits. This information is just one piece of the puzzle you need to solve when deciding on the direction of your craft business. You should also choose to make items that are clearly well made and require a certain level of skill and proficiency. Develop your own look and identity and consider focusing on a specific niche that differentiates your products from others. While it's smart to look at statistics and trends, don't get too number-bound. 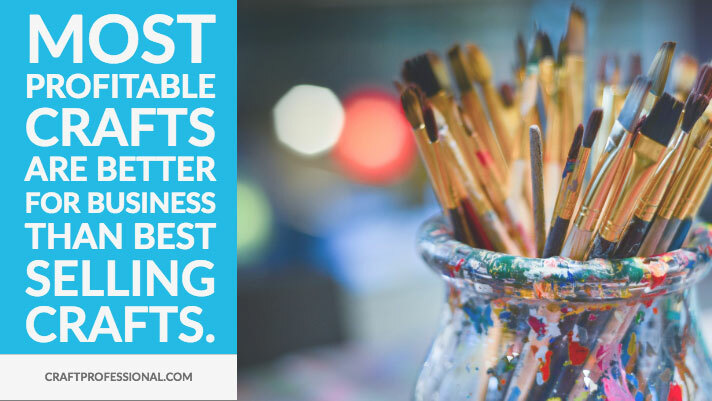 Assessing the best selling crafts as well as the most profitable crafts is smart before you launch your craft business; however, it's also important to work in a medium that you enjoy. Whatever craft media you choose, you'll be working with it for a long time, so you need to choose wisely. If you choose something based partly on good business sense and partly on your passion for the work, you should easily find the motivation needed to sustain your business through challenges. 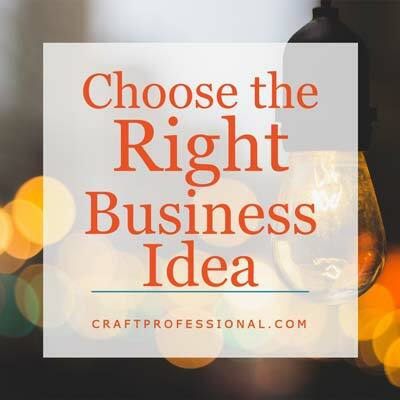 20+ craft business idea to help you develop a business that really works for you.